Home Strategies How Can Online Retailers Minimize Returns Rates? With returns of unwanted gifts expected to peak this week, we look at how retailers can improve their returns policies. This week saw ‘Take-back Tuesday’, so called by the Royal Mail as it’s the peak day for returning Christmas gifts. Returns rates on this day were predicted to be 50% higher then an average day in December. It’s also ‘National Returns Day‘ according to UPS, whose stats say that 5m packages are returned to retailers in the first week of January. Though retailers would of course like to reduce the number of products coming back to them, it’s important to balance this aim with a returns policy that doesn’t deter shoppers from making a purchase in the first place. So, simply making it harder for customers to return items with stricter policies isn’t the answer. Instead, retailers should look to address the reasons behind returns, while ensuring that processes work for customers. 31% of retailers said that managing the returns process has an impact on their profit margin. 30% of shoppers deliberately over-purchase and subsequently return unwanted items. 19% admit to ordering multiple versions of the same item to make up their mind at home. There’s no doubt that returns can be a problem for retailers. There is the cost of processing returns, and the likelihood that items returned may not be easily resold, all of which has a negative effect on the bottom line. So how can retailers minimize returns? Well, much is about helping shoppers to find the right product for them in the first place. If they make an informed decision about a product, finding the right size and fit, or the item that best suits their needs, then they won’t need to return it. Returns are a problem for fashion retailers as customers are of course unable to try items on before buying online. Some have attempted to use technology to solve this problem. For example, Shoefitr developed an app to help shoppers find the right shoe size. Initial results were excellent, with returns rates reduced by 23%. (the company has since been acquired by Amazon, though I can’t see evidence of the tech in use on Zappos). 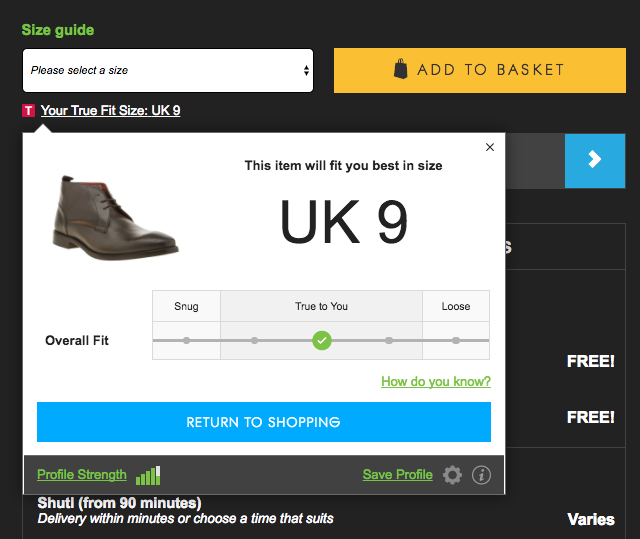 On a similar note, Schuh uses True Fit, which takes the size from a shoe you already own to recommend the best size for new products. 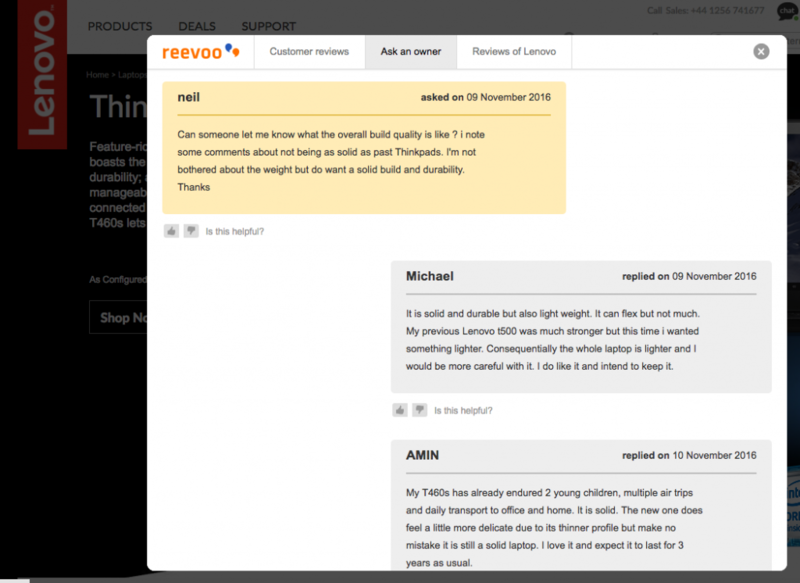 Other technology, such as Fits.me, is used to help customers find the right sizes for clothing. This is used on Pretty Green. It asks for height, weight and body shape measurements before using the information to recommend the best size for fit. It is asking customers to make more effort in entering accurate measurements, but details can be saved for repeat purchases. If shoppers are more informed about a product before they buy, they’ll be less likely they are to return it, and also less likely to abandon the purchase. 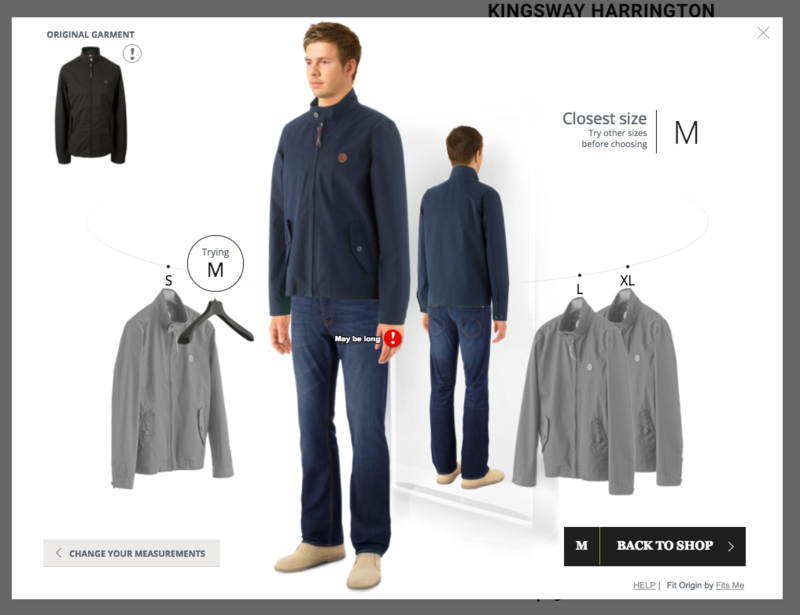 In general, product pages should seek to provide all of the useful information a customer may need to make a decision. The obvious things like size and price should be there, but detail can help, while good use of imagery can convey information more easily then text. 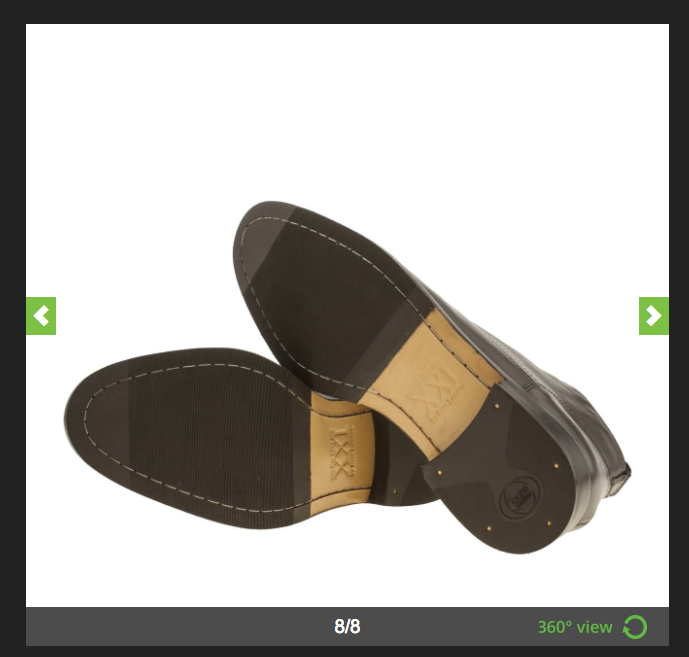 For example, Schuh uses 360 video and multiple product images to show its shoes from all angles. For more technical products, customers may need plenty of detail so they can make sure they find the right one. 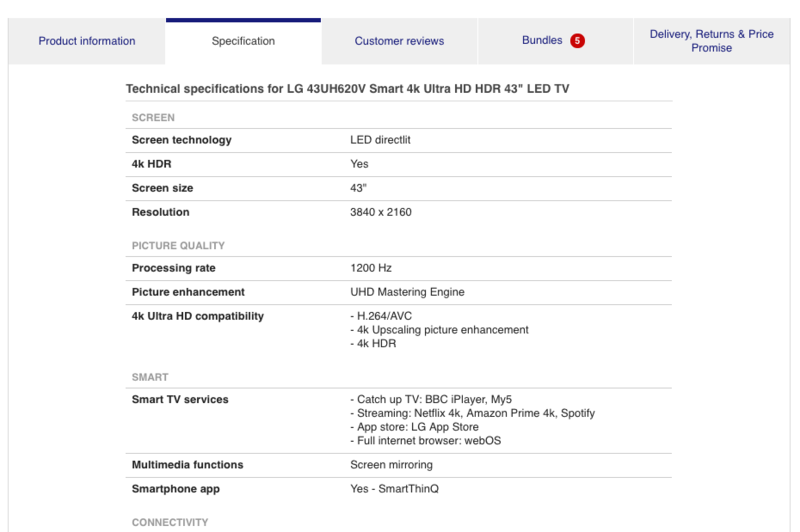 For example, details like the number of HDMI or other ports can be a key factor when buying televisions, so it’s important all the specifications are clearly presented. 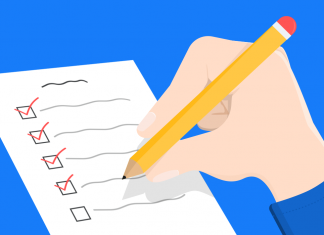 Reviews are great for helping to persuade customers to make a purchase, but they can also help to ensure that people find the product that’s right for them. 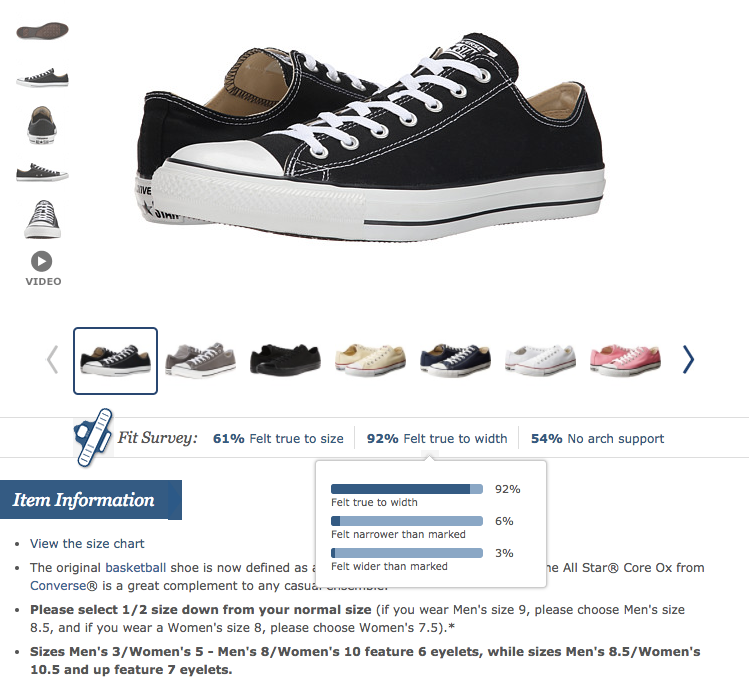 For example, survey data is used by Zappos to provide context on how true shoes are to the size given. A key piece of data that can help shoppers find the size for them. The presentation of review information can be used in different ways to help customers to make the right purchase. Here, Lenovo shows reviews scored by different aspects of the product, so we can see laptop review scores by battery life, performance, value for money and more. Also, the ‘Ask an owner’ feature allows potential buyers to ask specific questions about products and have them answered by customers who have bought and used the products. If customers are collecting orders in store, then they can try products on there and then, ensuring that they have the right product before they leave the store. This can reduce delivery costs, and also means that alternative products can be found in store. An easy returns process forms part of the customer’s decision to make a purchase. In the Barclaycard study quoted earlier, 58% of shoppers said a retailer’s returns policy impacts their decision to make a purchase online. MetaPacks’s 2016 State of Ecommerce Delivery report found that 72% of consumers are more likely to shop with a retailer that made returns easier. Clearly, retailers in sectors such as fashion face a challenge from changing customer behaviour. If customers are deliberating over-ordering knowing they’ll need to return some items. Most retailers tend adjust their returns policies to favour acquisition, implementing easy returns policies which won’t deter customers from making a purchase. It’s also about retention. If customers experience difficulties returning items, then they’re less likely to use that retailer again. However, if the returns process is easier, customers end up with a good impression of the retailer, even if the product didn’t work out for them. Some will also choose to see the opportunities presented by returns. It’s a chance to impress customers with some excellent customer service, or to cross or upsell to them when they return items to a local store. If it’s a major part of the purchase decision, then it’s important that customers can easily find information on returns. ASOS provides plenty of return options, from the Royal Mail and couriers, to local stores through Collect+, and even supermarkets. 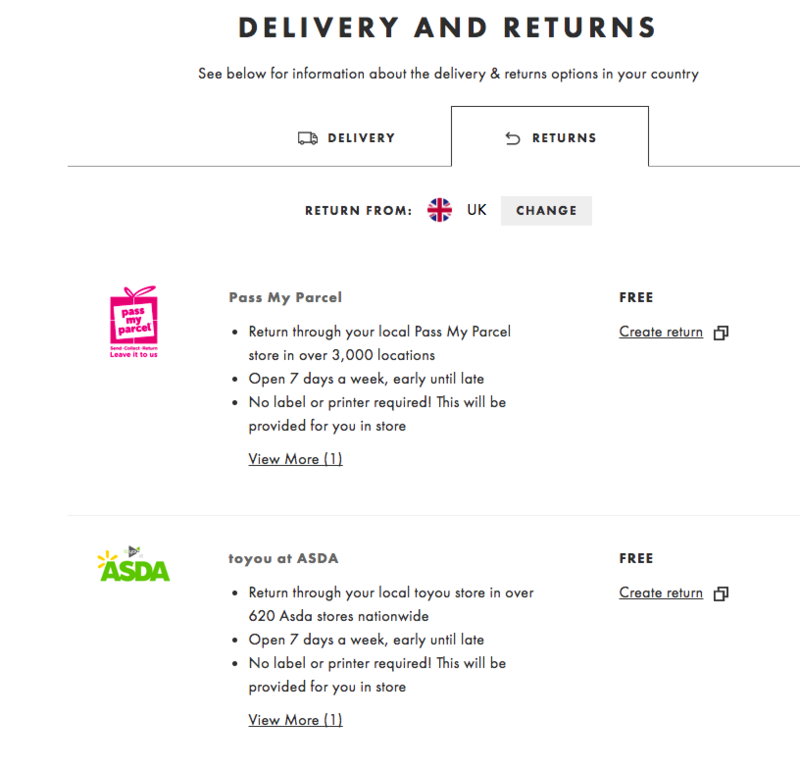 This choice helps ASOS to overcome any potential customer concerns around the cost and convenience of returning items. 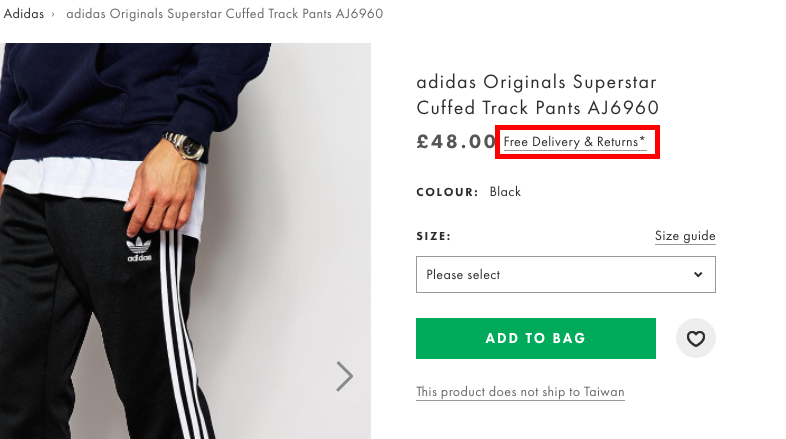 ASOS again. 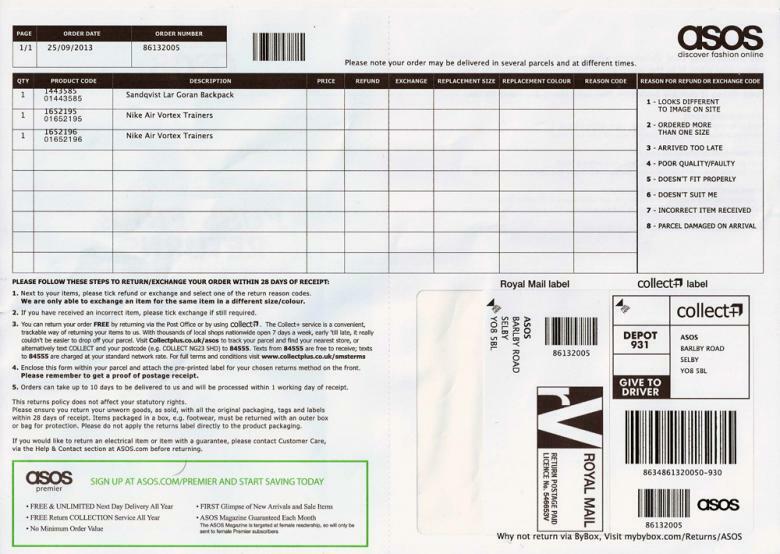 It includes returns labels and forms with packaging, so customers don’t have to work too hard. It’s also a good idea to ask why people are returning items, as this can identify problems and help to reduce future returns. Most retailers now do this, but it’s important to allow a larger returns window around the Christmas shopping period, as people will buy a month or more before gifts are exchanged. House of Fraser offers returns right up to the third week of January, which means people can shop ahead for Christmas without having to worry about returns. Returns are a fact of life for online retailers. The most important thing they can do to reduce returns is to ensure that customers find the right products for their needs. Smart use of technology, clear information on size, fitting and product specifications, and use of imagery can all help to achieve this. However, retailers will always have some returns to deal with, and the key is to make this process as easy as possible so customers are not deterred from making a purchase in the first place, and are happy to buy again even if they return items.